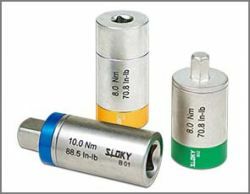 This is a brand new concept of big torque adapter from 6~18Nm which is never been done before. 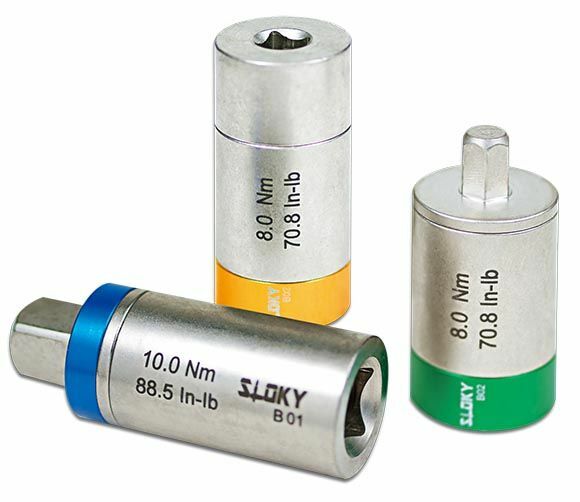 It can apply to many different kinds of connecting and driving parts. 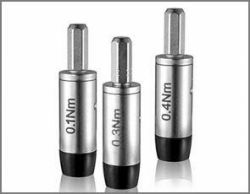 It is suitable for auto, motocycle and other heavy torque control applications. 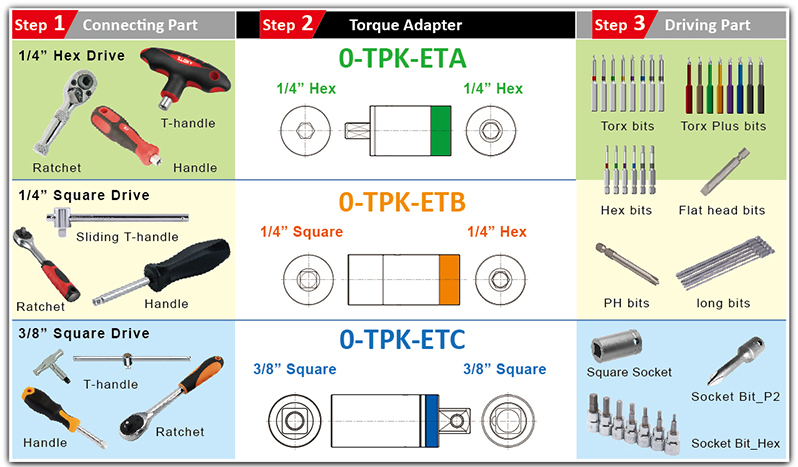 Our torque adapter works with all kinds of handle and tools. Please contact with us if you have any ideas.